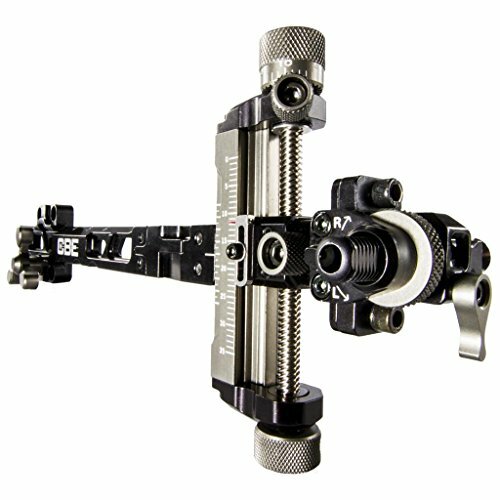 Designed for the 3D specialist with 2" of vertical travel and detachable scope mount for easy traveling. Features micro-adjust windage and locking knobs for both windage and elevation adjustments. Center-pivot 1st and 3rd axis adjustments with 2nd axis adjustment on the scope block. Includes interchangeable laser engraved aluminum yardage scales. Rapid travel elevation adjustment moves the sight 250" with each turn. If you have any questions about this product by Custom Bow Equipment, contact us by completing and submitting the form below. If you are looking for a specif part number, please include it with your message.